Why did the Romans want to fight the Greeks? In Sicily, the Romans were fighting the Carthaginians. Some of the Greeks decided to help the Carthaginians fight the Romans, because the Greeks were afraid of the Romans. But the Carthaginians lost. The Romans were very angry at the Greeks, and they started to take Greece over as well. 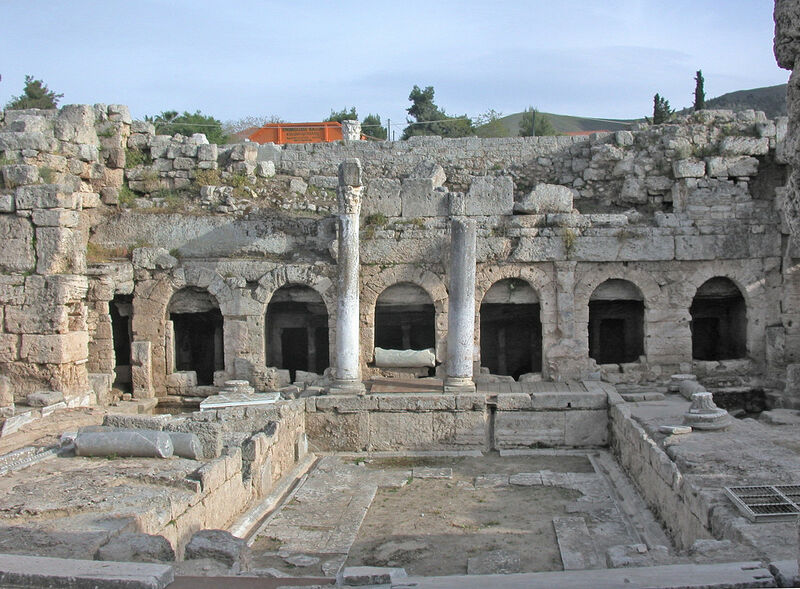 At first the Romans pretended to let Greece be independent, but by 146 BC the Romans destroyed Corinth and made Greece into a province of the Roman Empire. Greece did well under Roman rule, even though some Greeks – especially the rich ones who had been more important before – were not very happy about it. The Greeks built many new houses and buildings. They were able to sail and trade peacefully all over the Mediterranean Sea, because the Romans ruled it all. The early Christian leader Paul was able to come from Israel to Greece to spread the word about Christianity. 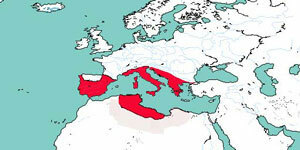 The Romans ruled Greece for about five hundred years. The Romans thought Greek plays and Greek philosophy were very interesting, and many Greeks went to Rome as teachers and entertainers. Many Romans came to Athens to go to the great colleges there, Plato‘s Academy and Aristotle‘s Lyceum. Around 200 AD, though, Slavs and Gothic people began to invade Greece from the north, and the Roman army couldn’t always stop them. At first these invaders didn’t come very often, but by 400 AD they came more often, and Greece became poorer again. As the invaders conquered the western half of the Roman Empire, Greece came to be ruled by Constantinople. Ancient Rome: An Introductory History, by Paul A. Zoch (2000). For high school students, by a high school Latin teacher. Graecia Capta : The Landscapes of Roman Greece, by Susan E. Alcock (1995). 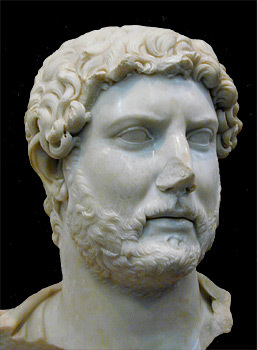 Alcock used archaeological evidence to show the changes that the Roman conquest brought to the Greek countryside. By a specialist, for specialists, but pretty readable. Hellenistic and Roman Sparta, by Paul Cartledge and Anthony Spawforth (2nd edition 2001). Ever wonder what happened to Sparta AFTER the helots got free? Route 66 A.D. : On the Trail of Ancient Roman Tourists, by Tony Perrottet (2002). Follow ancient Roman tourists, as they travel through Italy, Greece, and Egypt. Cite this page: Carr, K.E. Roman Greece – St. Paul and the Christians. Quatr.us Study Guides, July 9, 2017. Web. April 18, 2019. Hello! I am currently working on a project for National History Day, and I chose the Battle of Corinth for my topic. I was wondering where you got this information from to determine what type of source this is. Thank you so much! There’s a bibliography at the end of the article. If you want to check my facts, please consult the books listed there. My credentials are also listed in the About the Author box below the article, and you can click on the links there to see my university affiliations. I appreciate that you have a doctorate in Archeology and Classical Art and I’m sure your knowledge of this subject is great. However, this article read like it was written as piece of homework from a school child. Sentences like “At first these Germans didn’t come very often, but by 400 AD they came more often” and “ The Romans were very angry at the Greeks, and they started to take Greece over as well.” both lack detail and are worded poorly. I know this is not an literature essay, but this whole article could be written so much better. Sorry you didn’t like it, J! We get criticism of the writing way more often on pages where the subject matter is controversial, so I’m guessing that when you disagree with what is being said, you tend also to be irritated by how it is said. You’re welcome! I added a sentence to explain that Sicily was not part of Italy then, even though it is now. Israel was never a country until 1948. so why did you state what was Palestine as Israel? Israel was the name of the country from the 900s to the 700s BC, when it was conquered by the Assyrians. But I call it Israel here because I generally use the name of the modern country so people will know where they are; in the same way, I say “Spain” rather than the name of the Roman province, “Hispania”, and “Tunisia” rather than “Africa”. What would you want me to include, to make it longer, Kala? Wonderful! That’s pretty much my goal! Thank you! I’m glad we could help!